Leather open front boots with sheepskin lining. 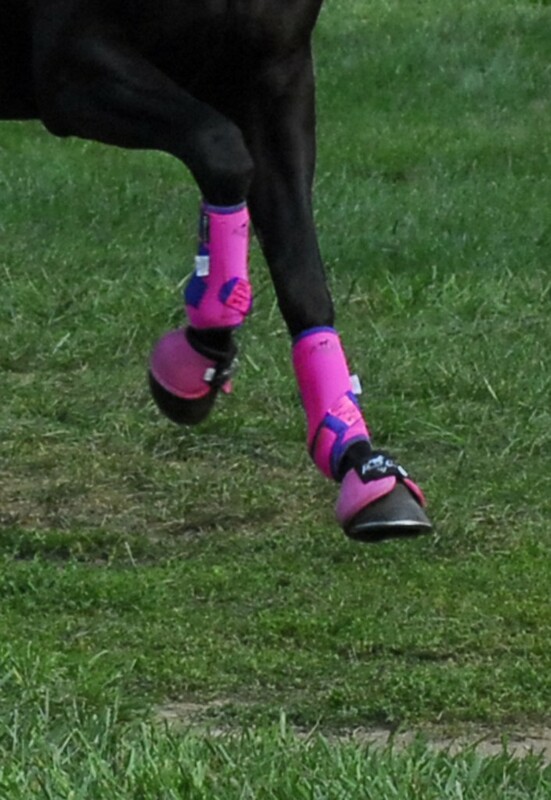 These boots are designed to protect the horse’s leg like splint boots, but leave the shins unprotected. 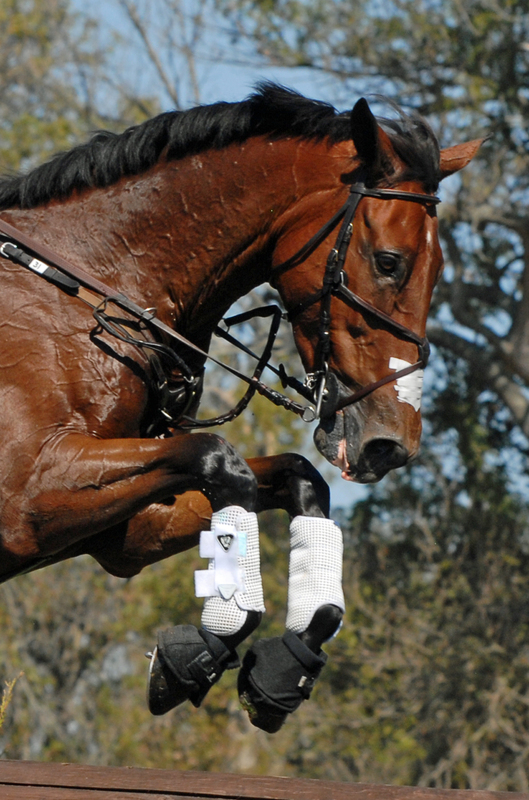 This allows the horse to feel the impact if his legs hit a rail of a jump. 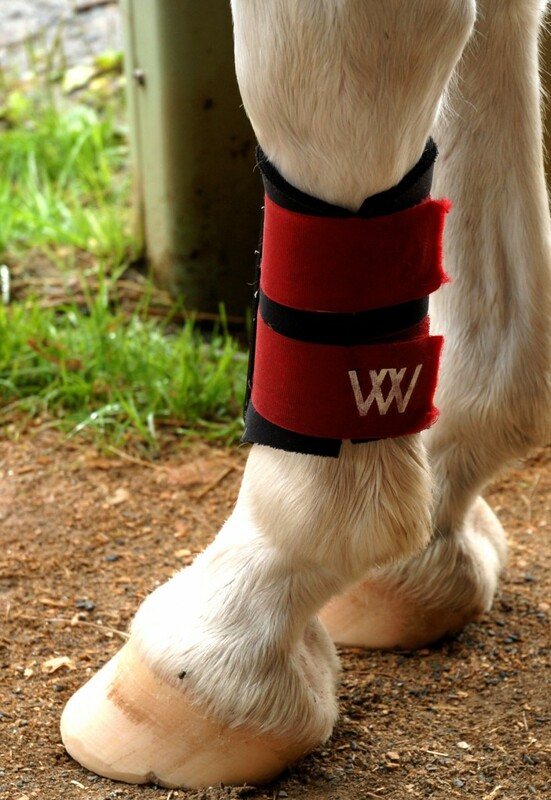 These boots are shorter than splint boots and give protection in the fetlock area. Bell boots with sheepskin to prevent rubs. Bell boots go around the pastern and the hoof to protect the heels from being struck by the hind feet. They also help keep front shoes from being torn off by the hind or opposite foot. 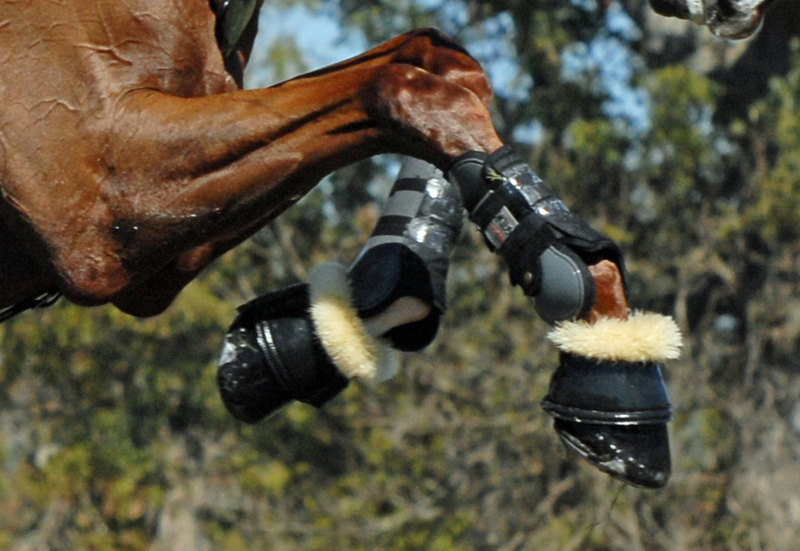 Closed bell boots are one solid piece of flexible rubber; they must be stretched over the hoof. Open types are made of rubber or synthetic material, split and close with a buckle or Velcro fastener. Some are shaped and weighted to keep them in place. The petal type has overlapping flaps attached together around the pastern. These boots have a sturdy reinforced area on the inside of the leg to protect the splint and cannon bones. They may have extra protection over the flexor tendons and the fetlock joint. They come in different heights and designs to protect the part of the legs on which the horse might brush or interfere. These boots come in a variety of styles, colors, and are usually made of leather or a synthetic material with Velcro or buckle fasteners. These protect the horse’s leg from the cannon bone to below the fetlock joint. 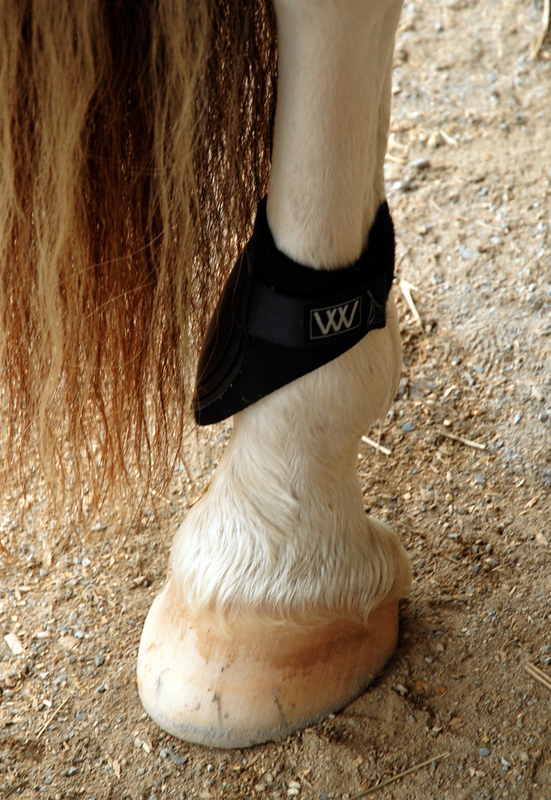 They have a fetlock sling strap, which is designed to prevent overextension of the fetlock joint. These boots offer protection from interfering and may help reduce the effects of concussion. Polo bandages or wraps are made of fleecy material; they are soft and fuzzy on both sides and come in many colors. 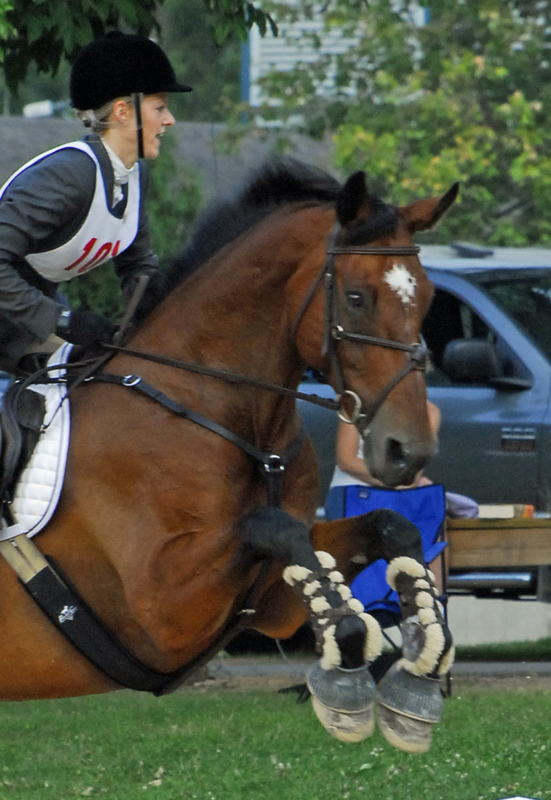 They are stretchy and are usually nine feet long and five inches wide, though pony-size polo wraps may be shorter. 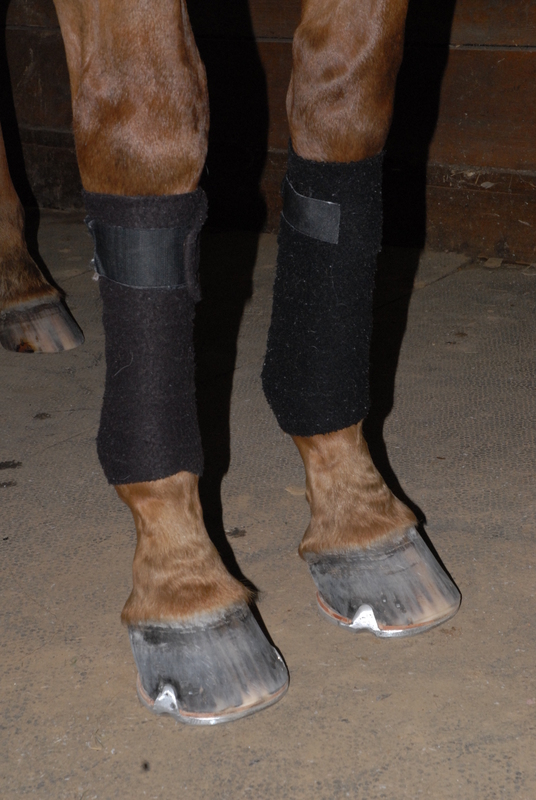 Polo bandages are used for warmth and to give some protection to a horse’s legs during riding, longeing, and sometimes turnout. However, polo bandages do not work well when they get wet, and they can pick up burs and twigs, so they are not a good choice for cross-country schooling.